It is your first job interview in Pakistan, and you don’t know how to prepare yourself. Now, you are worried about the questions that the interviewer might ask. You have to reach the venue on time. There are many other similar thoughts racing through your mind. It is natural to have that adrenaline rush when facing your first job interview. But here are the top five mistakes to avoid so that you can give your job interview more confidently. The most important thing in your first job interview is arriving on time. Punctuality is something that every organization deeply cares about. 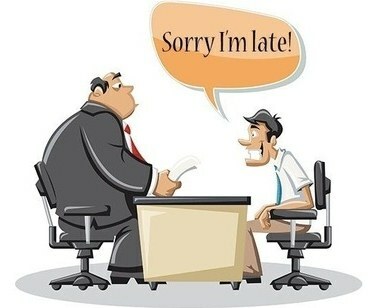 Therefore, you cannot afford to be late or not reaching the job interview venue at all. It is critical that you take the time to know the location. If possible, visit the venue one day before the interview with the mode of transport you would use on the day of the interview. If you have to go to the job interview on your personal transport, use that one day before. If you would go to for the job interview on public transport, use that to estimate the amount of time you would need to reach. Also, estimate the amount of traffic you would have to face and any other difficulties that you may encounter at the time of the day or the night when you would present yourself for the job interview. Google Maps also gives you indications about traffic congestion, which can at times come in handy. If you do not know how to make a CV, you can Google and see some CV samples. However, if you still are not sure, you can hire a professional CV writing service to provide you with a great personal sales document. No matter what path you take, you need to have a professional CV. The CV must reflect your suitability for the job and the values and expertise you would bring along. An important part of presenting yourself for the job is knowing what you have written on your CV. A lot of first-time job interviewees make the mistake of not remembering what they wrote on their CV. When the job interviewer asks about a particular item on their curriculum vitae, they fail to satisfactorily answer the question asked by the interviewer. Always know what is in your CV and how would you answer any anticipated questions asked about your professional life from your curriculum vitae. There can be different types of questions that you might expect from the job interviewer. Therefore, it is essential that you take the time to understand the nature of such questions. There is no fixed template of job interview questions but here is what you should expect. The job-related questions will strictly cover the technical areas of your degree, internship and the job description for which you are getting considered. In this part, you need to learn everything that you have attained in summary to answer any questions that you may be asked. The second part includes asking questions to ascertain if you would be the right fit for the organization. To prepare for this part, you need to be more assertive, showing a hunger, drive, and positive attitude to exhibit that you would love to work for the organization. The third part may also include assessing your personality. So, you need to showcase your human and soft skills. Therefore, you must be prepared to show that you are a team member, a fun person to work with, and can get along well with other people. The more prepared you are, the better it is for you to remain more confident throughout your job interview without fumbling over any questions that show any signs of unpreparedness or not taking your job interview seriously. Whether you are a man or a woman seeking a job in Pakistan, you must consider that as a Muslim society, we need to dress in a way that we do look professional, not casual but at the same time not too liberal. However, the dress code differs from one industry to the other. Similarly, people who work with large MNCs may like to see you in a bit modern attire (within the acceptable norms of a progressive Muslim community) as opposed to the ones who work in medium-sized or small companies. Typically the “Seth” companies in most cases want you to dress more carefully. So you need to understand the organization and then accordingly dress for your job interview. It is super critical that you do not take things for granted. When you start the interview, always let the interviewer ask you the question. Take the time to think about the question and then respond to it. As mentioned above, your preparation for the interview deeply effects your ability to answer confidently. Therefore, it is imperative that you have covered all possible answers to the questions in advance. If the interviewer cuts you between your answers, remain patient and let the interviewer finish. Never press for more information and try to use your own imagination. Make sure that you do not come across as rude. Being confident in your job interview means there exists a fine line between becoming too rude and too timid to answering questions asked. Therefore, be careful. Lastly, best of luck in your job interview in Pakistan. Avoid these simple job interview mistakes to increase your chances of becoming more successful in getting through your job interview and getting hired. Irfan Aslam is a Digital Marketing Consultant at CV Writing Pakistan, a leading CV writing service in Pakistan.